Fresh off of news that the Indians, who can win their division without breaking a sweat, declared that “market constraints” (read: parsimony) have them ready to auction off their veteran players, including their very good ones signed to bargain deals, here come the Mariners, and they are sellers too. Seattle had the league’s 10th highest payroll last season, but currently has the fourth highest payroll already committed to 2019. They are suffering a 17-year playoff drought, the longest in the Big Four sports. They should be good enough, with a little work and a little spending, to at least end that streak, given how many playoff spots there are these days, but it is hard to see them becoming good enough in the next few years to overtake the likes of the Red Sox, Astros, and Yankees, all of whom are built to be great for a while. Like I said, the Mariners are in a weird place. And in-between is a rough place to be; not knowing if you’re a buyer or a seller can lead to rash decisions, or, perhaps even worst, to immobility. And yet to hear GM Jerry Dipoto tell it to the Seattle Times, no direction feels right for the Mariners. “The likelihood of ever really truly considering a tear-it-down model, it doesn’t make a lot of sense,” he said. Stuck between a rock and a cheap place. A really basic thing that’s not spelled out often enough is that there’s not a GM alive who wouldn’t choose to “go for it” every winter if he didn’t have penurious owners giving the orders. Dipoto wouldn’t want to tread water if it were up to him, and he certainly wouldn’t want to trade away any of the players who have actual trade value. Tautologically speaking, in any sport that doesn’t have a salary cap, a team that’s not trying to win isn’t trying to win. 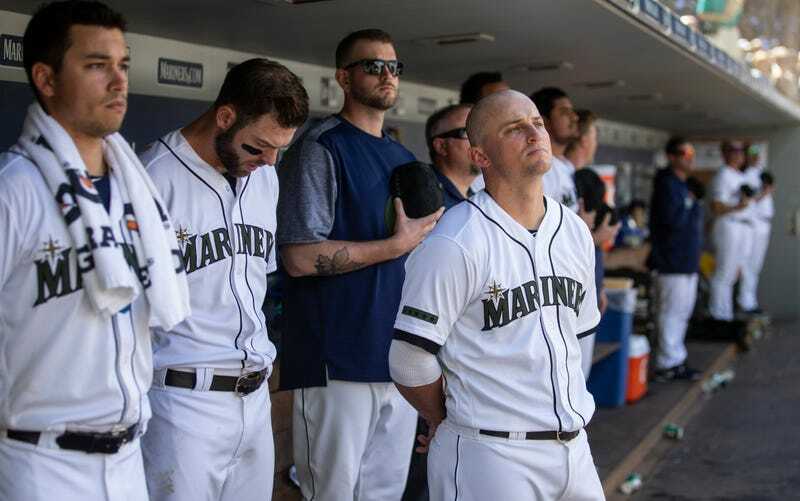 So Seattle is handcuffed by inbetweenity, and Dipoto finds himself in the unenviable position of having to kick the can down the road, reload but not rebuild, to stay on the brink of contention for another couple of years until the AL’s powers fall off, and only then will the Mariners truly “go for it.” For at least one winter, anyway.